remove household odours | Odd Job Handyman Services, Inc. Since the beginning of our series on fall home maintenance, Odd Job has been advising people to repair and upgrade their home in preparation for the cold weather that we’re already getting a taste of. You’re really going to want an indoor refuge, and you’re not going to want it to be in disrepair. What you’re going to want even more is for this refuge to be a truly pleasant place to be. Some might wonder how home could ever really be unpleasant. After all, is home not where the heart is? There’s nothing like opening its door after a long, difficult day and retreating into familiarity. We see the same people, animals and things that we always see, hear the same sounds we always hear and, of course, smell the same smells. Some of those smells are better than others. As wonderful as your home might be, your quality of life there isn’t nearly what it could be if odours like sewer gas and spoiled food are as indigenous to it as the more pleasing smell of your morning pot of coffee. We are often inclined to take a defeatist stance toward stench, particularly when it is localized in one space and its causes aren’t obvious. We hope that this article equips homeowners with the knowledge they need to remove household odours and to prevent them from appearing again. It’s your space, and so it’s time to reclaim your air. In our last article, we made a statement that is as bold and sweeping as it is true: about half of the basements in the world are dank, cluttered storage areas. The definition of dank, if you recall, is “disagreeably damp, musty, and typically cold,” and in our last article we detailed simple ways you can dry out your basement. We will now focus on how you can remove household odours commonly associated with the basement. Interested readers still might want to take a look at the previous article – after all, mould and mildew are two of the most notorious basement odours, and both are directly caused by moisture. For example, many people smell mould whenever they open their washing machine. We often leave our washing machines closed between loads, creating a breeding ground for mould because the seal on the front doors prevents the interior from drying. The solution is simple – just apply a mould killer like our secret weapons, Mold Stain Eraser and Mold Control – and leave the door open so that the inside of the machine can dry. Repeat this about once every month and there will never be mould in your washing machine again. In today’s quest to remove household odours, however, we will be zeroing in on another menace. Among the ugliest and most common odours in your basement and in other rooms as well is sewer gas. 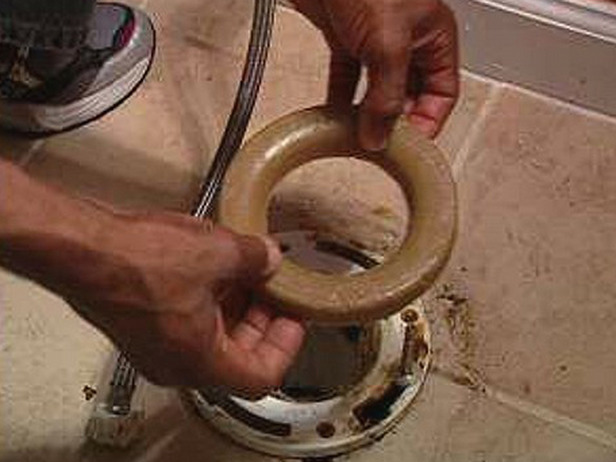 If you have drains that are never used, they will dry out. The water stored in the trap beneath the drain will eventually evaporate, leaving the unappetizing scents of your septic tank or your city’s sewer system with direct access to your space. Not only does this drastically reduce the quality of life, but the gas is potentially harmful. Fortunately, the solution is as simple as it might seem. Fill a pitcher with water (approximately a quart) and pour it down the drain. This will refill the trap and block the sewer gas. After that, pour approximately two tablespoons of cooking oil down the drain. The oil will float atop the water and effectively seal it into the trap, preventing it from evaporating until much later down the road. The problem of drain odour most often occurs in basements because they are usually used much less than other rooms in the house. Although fairly uncommon, if there is a bathroom in the basement then it is possible that the water in the trap under the toilet has evaporated and it may be from here that the sewer gas is finding its way into your home. If this is the case, the solution is even easier: simply flush the toilet! If the smell of sewage still hangs in the air long after you’ve returned the water to the water traps, it may well be that the wax ring underneath your toilet is leaking and that it is through the leak that the sewer gas is seeping in. This can sometimes happen if the toilet is frequently rocked. It can also happen if the wax ring itself was either improperly installed or simply worn out. Move the toilet and replace the wax ring – a new one can be purchased from virtually all home retailers, including Home Depot and Lowes. To prevent the toilet from rocking and breaking the new wax ring seal, place plastic shims beneath the toilet and then caulk it all around. If the problems still persist after you have employed all of these countermeasures, you should consult a professional plumber as there may be more serious underlying issues. We’re on a mission to remove household odours, and the only room known for as many as the basement is the kitchen. Many of the basement’s unattractive odours are related to how infrequently it is used – the sewer gas, for example, finds a clear path into your home through drains that are never used. Conversely, the odours of the kitchen are created by frequent use of the space. Fortunately, however, the solutions to these odours are equally simple. Like the homeowners met by a pungent odour when opening their washing machines, many homeowners will be holding their noses upon opening their dish washers after a cycle. After frequent use, food and grease will be trapped in various parts of the machine. Your dishwasher, for example, most likely has a detachable filter which is located at the bottom of the tub. This catches the larger particles of food so as to prevent them from clogging the drain. This function, however, creates a veritable feast for bacteria and their presence in turn leads to the terrible odour. Remove the screen with a half counter-clockwise turn and spend less than a minute cleaning it out. 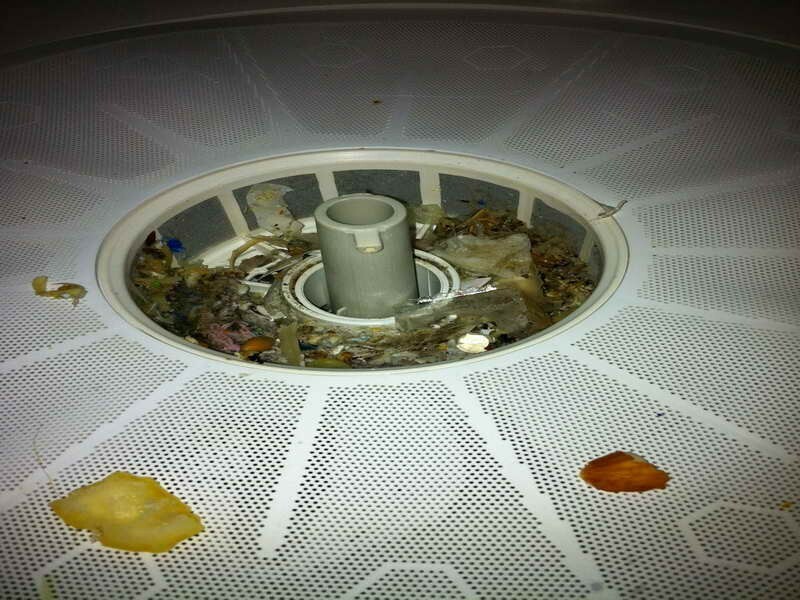 A lot of food debris also builds up in the ‘lip’ at the bottom of the dishwasher’s door. Open the door all the way down and then clean this area as well. The dishwasher’s spray arms are also contributing to the smell. Pieces of food become lodged in the holes along the sides, which are very small and difficult to clean as a result. You’ll have to remove the sprayer arms from the dishwasher itself, taking out the screws and bolts if necessary. Fill a bucket with hot water, add some soap and a cup of vinegar, and then stir. Soak the sprayer arms in the bucket for awhile. When you think the food sufficiently loose, remove the sprayer arms and use a toothbrush, tweezers or cotton swab to get rid of it for good. The spray arms, the filter and the door lip are the main sources of the odour, as they are the parts of the machine that collect the largest amount of food debris. After you have cleaned those areas, apply a dishwasher cleaner – we recommend Dishwasher Magic – and then run a cycle. Au revoir, odour! In attacking the odours of the basement, we focused primarily on sewer gas. Likewise, the terrible odours we associate with the kitchen can largely be traced to spoiled food and the bacteria it attracts. Does your kitchen sink stink? Don’t worry – it’s just another buildup of food particles. The solution is simple: pour a cup of bleach down the drain. This will kill the bacteria and eliminate the smell. What about the fridge? If you keep a lot of food in there, you will likely forget some of it from time to time. And if your fridge has gone without power for a few days, the smell will be indescribably bad. What’s worse, cleaning it out won’t destroy the smell either – no matter how many disinfectants you use. Fear not, however, there is a simple and very old solution that costs next to nothing: fill your fridge with crumpled up newspapers and charcoal, leave it for several days and then empty it – sayonara, stench! You can employ a similar method to eliminate the odour created when you take off your shoes or work boots after a long day of hard work. Fill a sock up with cedar chips and leave it in your footwear. This should make the odour disappear, and you can reuse the same ‘bag’ of cedar chips, as they naturally absorb moisture and kill odour – just be sure to fill it with fresh chips about once a month! Make the processes described here into habits and you will be able to remove household odours without buying special products or calling anyone. Are you smelling something that we didn’t cover in this article? If so, fill out our online “book-a-handyman” form and tell us what’s up – or just give us a call at (416) 520-1161!